Vivo,smartphone maker from China has launched a new smartphone called Vivo Z3.The handset comes with two processor variants named V1813BA and V1813DA.Initial one V1813BA packs Snapdragon 670 octacore processor while other one features Snapdragon 710 octacore CPU. Vivo Z3 specifications includes 6.3 inch FHD+ LCD display with 2280×1080 pixel resolution at 19:9 aspect ratio and supports multi touch.It measures 155.97 mm height,75.63 mm width,8.1 mm thickness and weighs up to 163.7 gms. 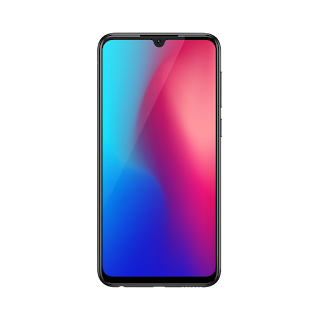 Vivo Z3 V1813BA model is powered with Sd 670AI processor with Adreno 615 GPU.It has 4GB RAM and 64GB onboard storage.Whrn it comes to V1813DA,it is packed with Sd 710 AI processor with Adreno 616 GPU.It has 6GB RAM and 64GB and 128 GB storage options.Both models supports external Sd card up to 256GB.And phones will run on Android 8.1 Oreo out of the box. For photography,Vivo Z3 is equipped with 16MP+2MP dual camera with LED flash on rear panel.Its camera recognise various scene mode with its AI technology.At front it has single 12MP sensor with 24MP photo sensible cells and AI integrated beauty modes. Vivo Z3 hardware is backed up with 3300 mah battery.It comes with standard connectivity options like 4G LTE,GPS,Wifi 802.11 a/b/g/n,3.5 mm audio jack,Bluetooth and USB TypeC.Additionally,it has finger print sensor placed on rear panel for security. The phone Vivo Z3 pre order has stated already in China with $231 for V1813BA model.The other model V1813DA has been priced as $275 for 64GB model and $332 for 128GB model.